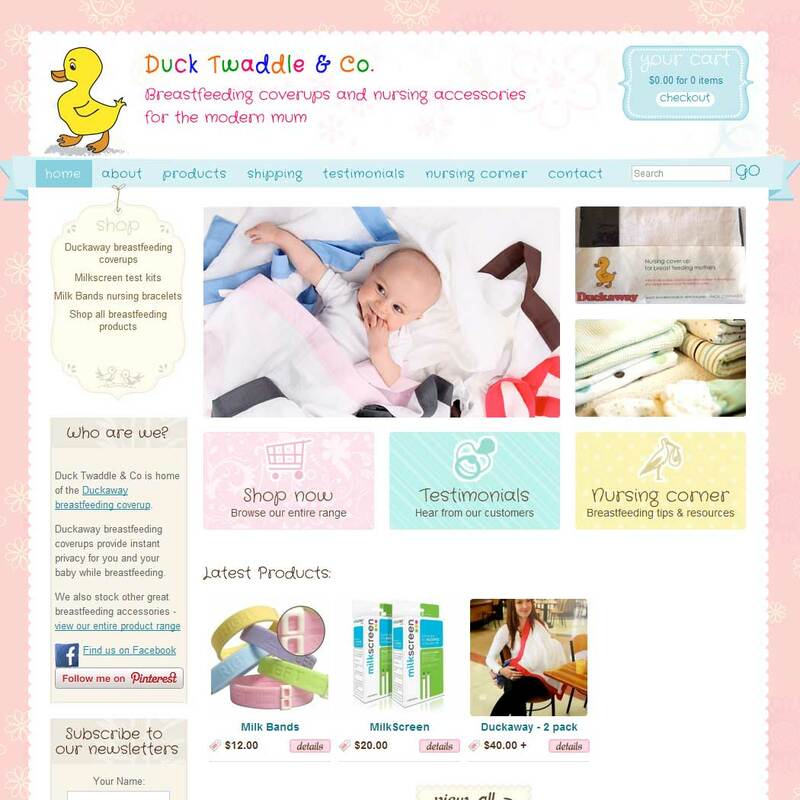 Duck Twaddle & Co create handmade breastfeeding coverups and supply other breastfeeding products. They required a simple eCommerce site to launch their product. A WordPress website was developed using a Simple Shop theme and integrated with PayPal.